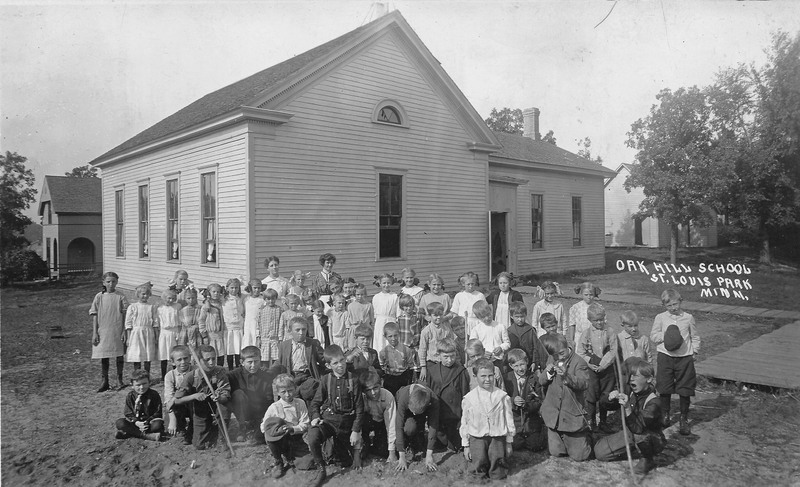 This photo is identified as Pratt School. As it does not look like the building that was moved to Oak Hill, we believe it is the original building. The Village’s School District No. 18 was known as the Pratt District – the Pratt family was prominent along Excelsior Blvd. George Craft was the first schoolmaster. One early student said it was called the Prattville School “I suppose because there were so many Pratt Villains who attended it.” The winter term was always taught by a man, since the bigger boys were in attendance – they worked on the farm the rest of the time. These delightful young men spent most of their time torturing their teacher. In about February 1866 the first Pratt School burned down and was immediately rebuilt in the summer and early fall of 1867, again by Edwin E. Edgerly. 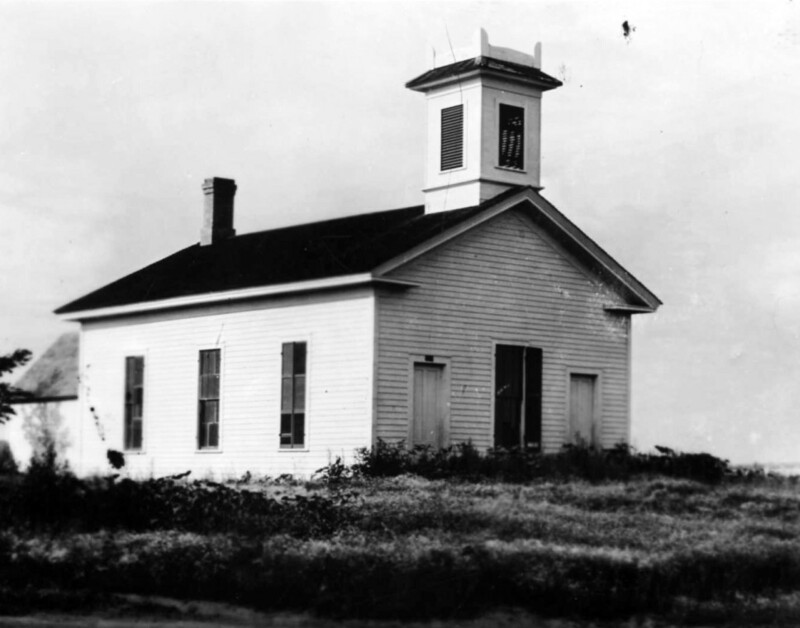 Plans for building the two-room school were to be taken from “Menden Hall’s house.” The new building was a rectangular structure with a porch and entry which would remind one in some ways of a church. Lossing’s Outline History of the U.S. In February 1880 the School Board voted to have three months of summer vacation instead of four. In 1892 the building was closed, perhaps because Lincoln School had opened. In 1894 the building was moved “across the marsh” to Pennsylvania and Walker/Lake and was variously called Oak Hill School and South School in this location. In 1906 it was moved again, this time to Walker Street and Quebec Ave., also called Oak Hill. The building was replaced by a brick building in 1924.